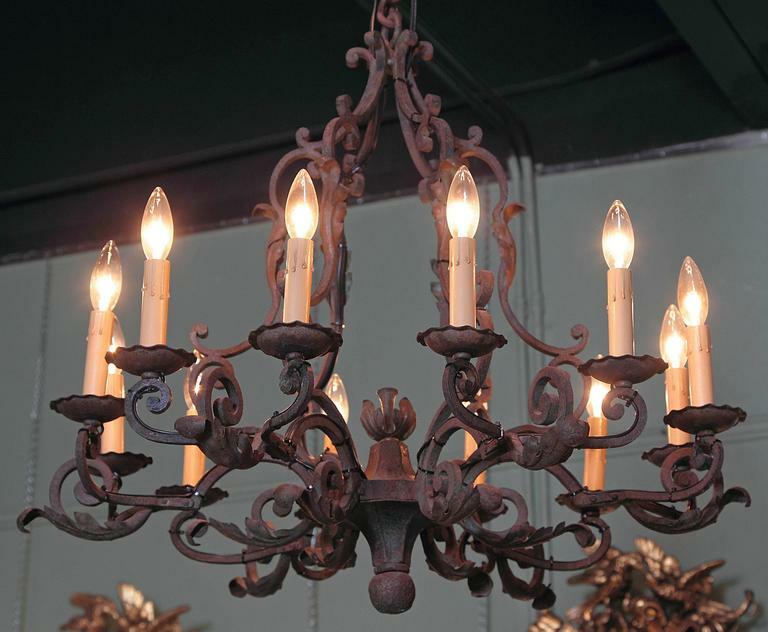 This elegant, antique chandelier was created in France, circa 1900. 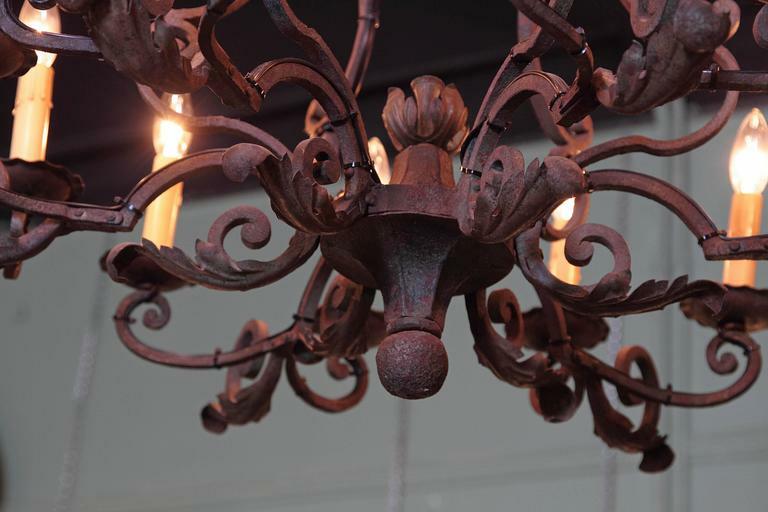 The round, iron light fixture features ten scrolled arms with light, decorative, high relief leaves, and a center floral finial at the base. 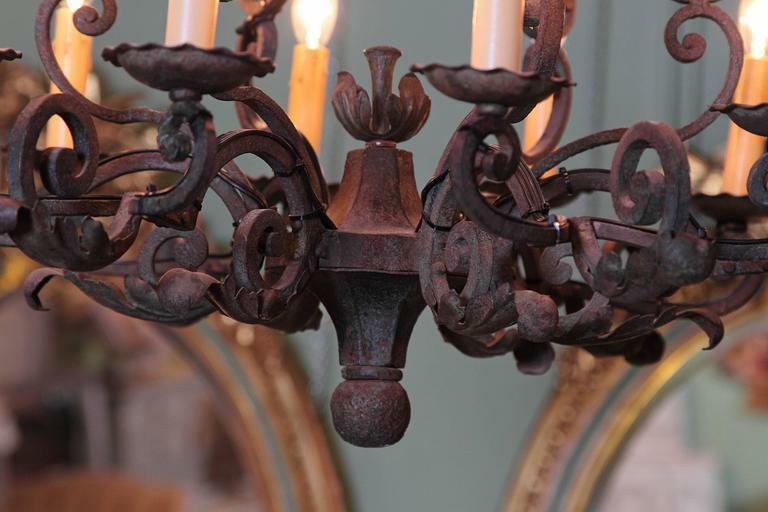 The fixture has new wiring for easy use as well as its original Verdigris painted finish with gilt accents. 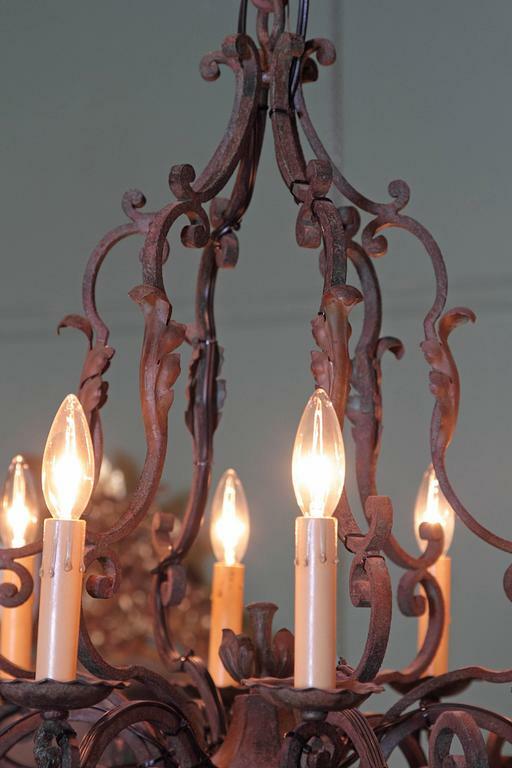 Place the piece in your dining room or in your entryway for a romantic, French style. 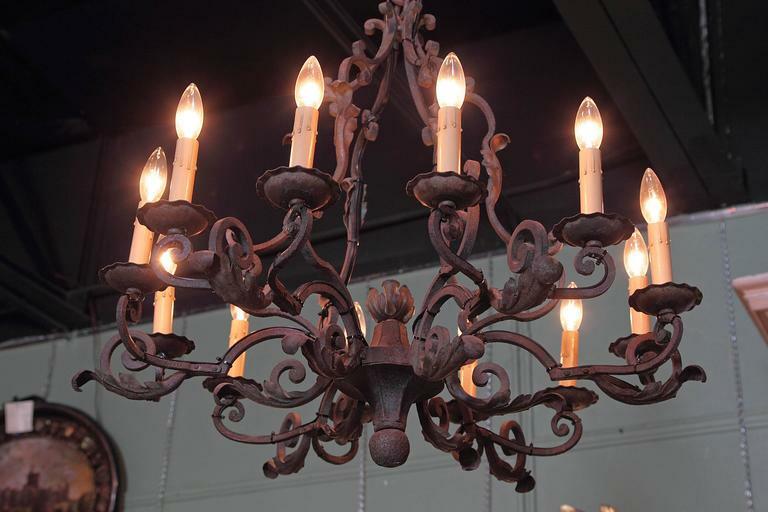 The chandelier is in excellent condition and has its rich original rubbed finish. 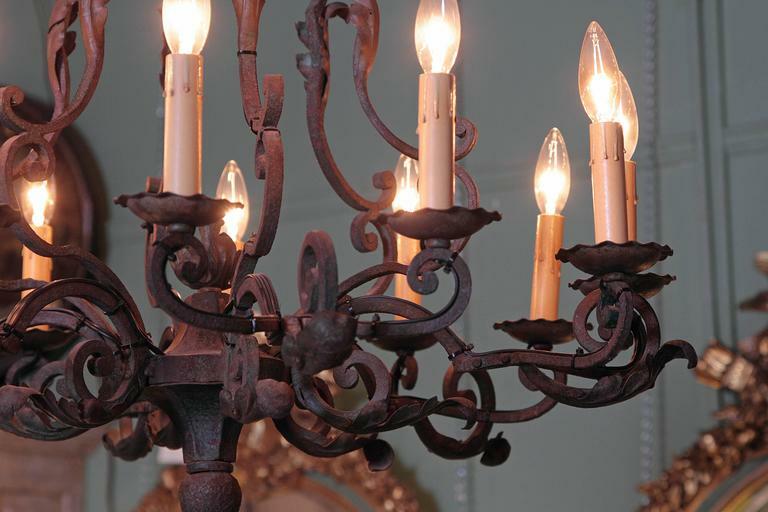 Canopy, loop and chain included. 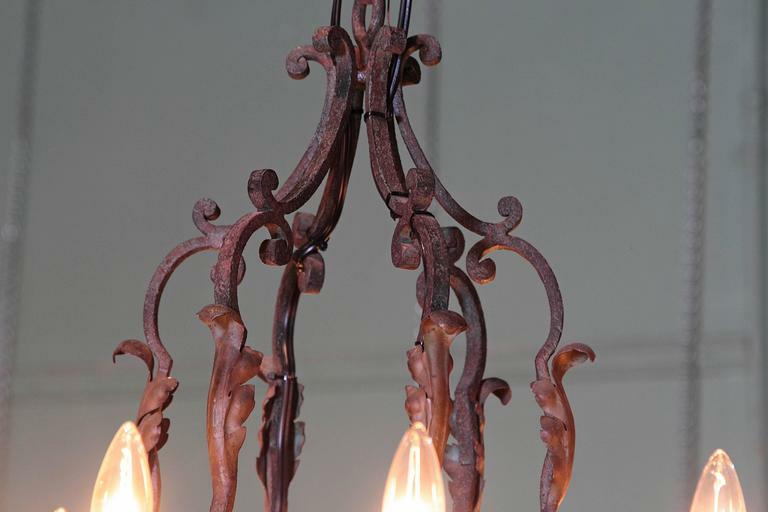 Measures: Diameter 29" Height 25". 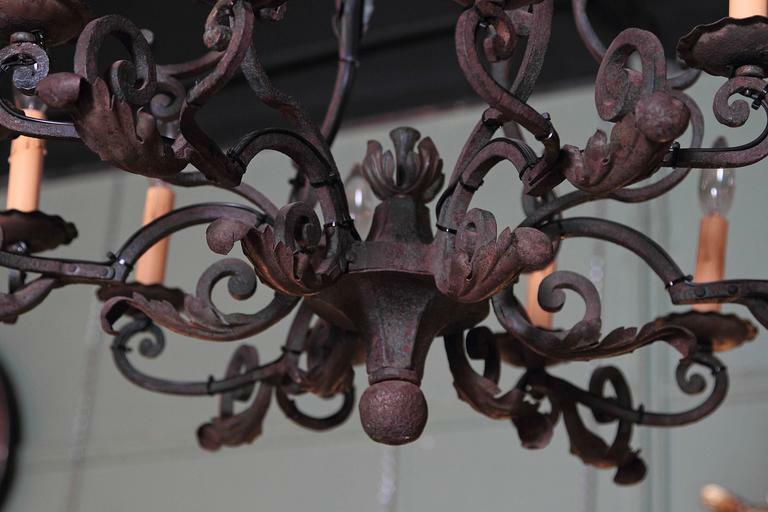 Early 20th century French brass chandelier. 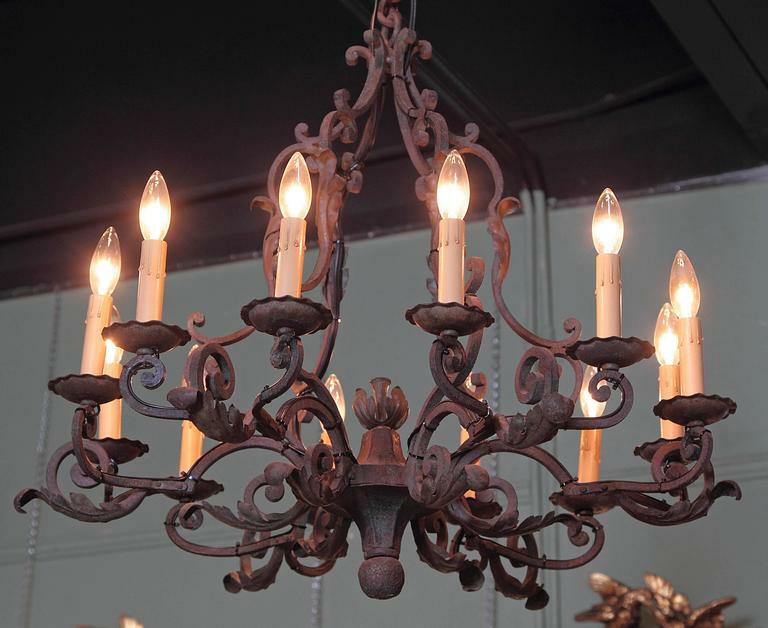 Lovely antique French beaded crystal basket chandelier.